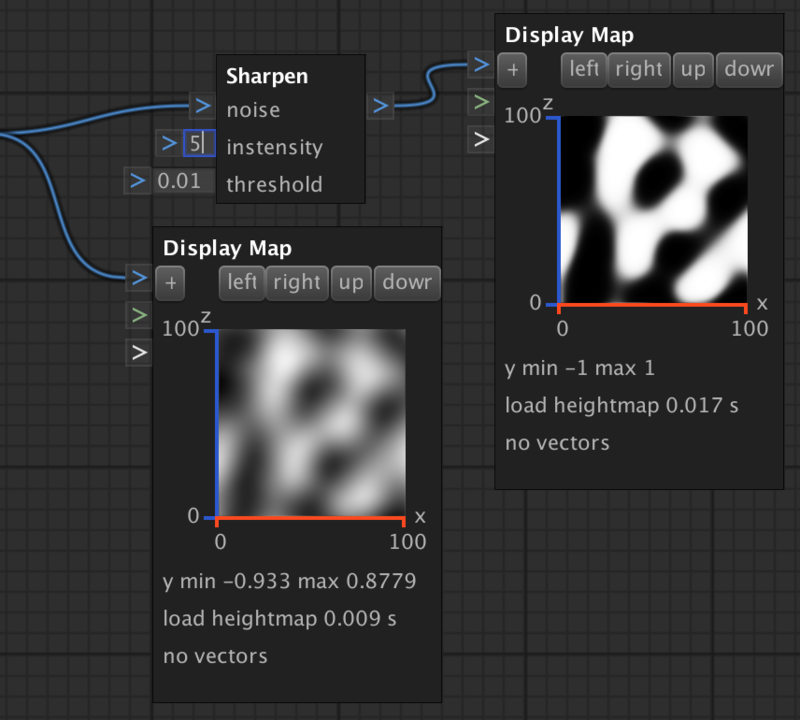 The SharpenNode sharpens a height map using Math.Tanh(value * intensity) E.g. it can be used to create masks with a more sharpened edge. noise The noise to sharpen. intensity The intensity to sharpen. threshold The threshold to apply maximum values.